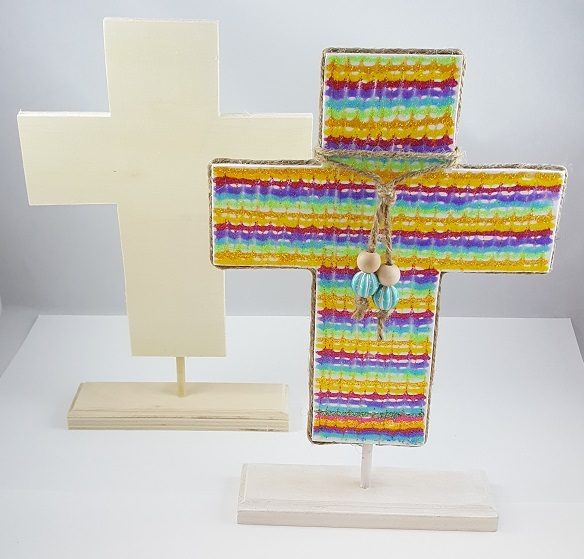 This Christian cross craft activity is great for a church group, Vacation Bible School, and Sunday School. 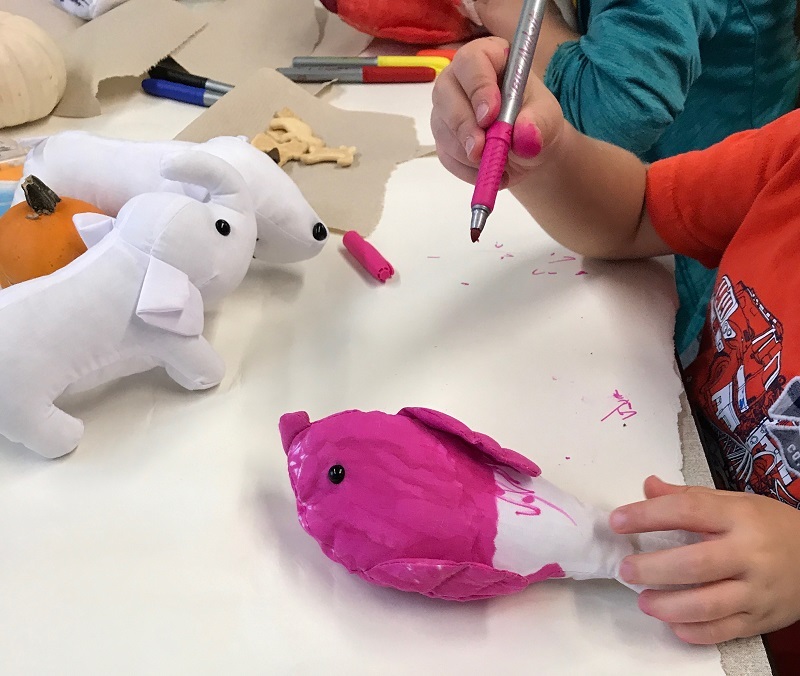 It can be a Spring, Easter, or Mother’s Day craft. 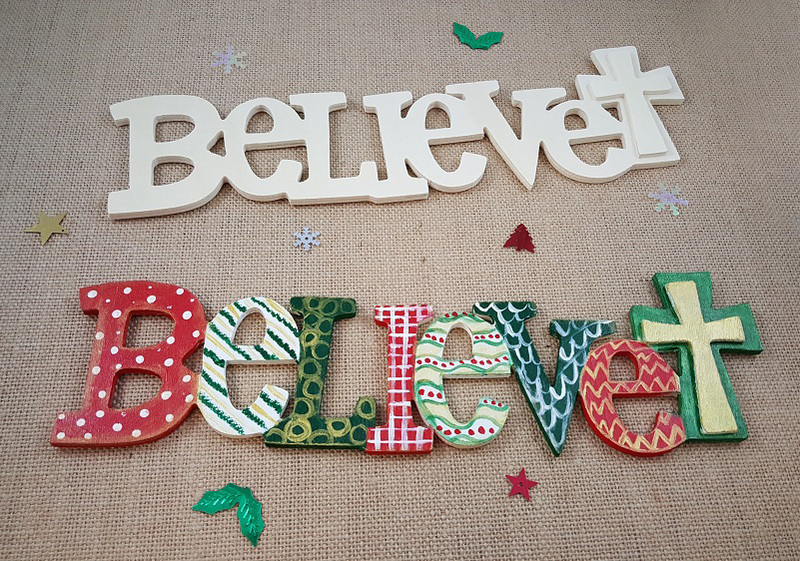 Take an ordinary cardboard box and make it beautiful! 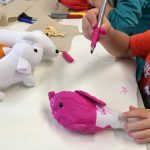 This is a new product and we were very excited to try it out for this craft tutorial. These cross boxes make great keepsake gifts! Using Acrylic Paint, paint the bottom half of the cross box. Paint sides, bottom and inside box. Two coats may be required for maximum coverage yielding best results. Let it dry completely while working on the next steps. You’re done with the bottom half now. Now you’ll focus on the cover of the cross box. Trim the decorative paper into strips to fit onto the edges. Once your strips are cut out and ready to go, brush Mod Podge over the edges of the box. Now you can adhere the decorative paper strips to the areas covered with the Mod Podge. Trace the outline of the top of the cross box cover onto the decorative paper. This way you will be sure the decorative paper fits perfectly to the top of the cover. Carefully cut the decorative paper along the area you traced. Then brush Mod Podge onto the top over the cover and carefully place the decorative paper. At this point the entire outside of the cover should be covered with the decorative paper. Using a brush, paint the entire outside of the cover with Mod Podge. Be careful to cover all areas, using a generous amount. Brushing out in a paint like fashion will yield desired results. Smooth any wrinkles that may occur by repeatedly brushing and smoothing that area. Let the Mod Podge dry completely. Once it is dry, the outside will be shiny and sealed. Glue your favorite trim or rhinestones onto the lid. We chose flowers for Spring! Be sure to use a high tact clear drying glue so glue is transparent on your final project and your embellishments stay intact over time. 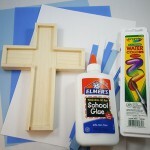 How would you decorate your christian cross box? 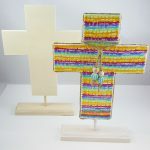 This entry was posted in Arts & Crafts, Religious Activities, Tutorials and tagged box, christian, church, craft, crafty kate, cross, cross crafts, mod podge, Paint, paper mache, religious, sunday school, trinket, vacation bible school by S&S Worldwide. Bookmark the permalink.